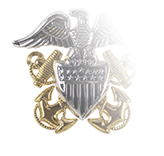 The Navy Expeditionary Medal (NEM), established through a Navy Department General Order promulgated on August 5, 1936, serves as something of a “catch-all” decoration for U.S. Navy personnel. 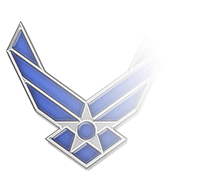 Two of its primary requirements—that recipients have actually landed on foreign territory and engaged in operations against armed opposition, or operated under circumstances that are subsequently deemed to merit special recognition—are essentially secondary to the caveat that the operation is not represented by another service or campaign medal. 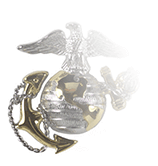 Another qualifying factor is that the Medal can be awarded only in instances where Navy units were the lone participants in the designated operation. 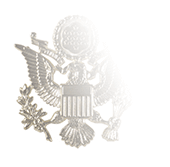 For a joint operation which took place after July 1, 1958 involving units from other branches of the United States Armed Forces, the most appropriate award would be the Armed Forces Expeditionary Medal. 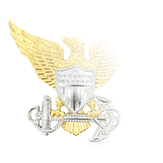 Further, a candidate for the NEM must have been attached to an approved ship or unit approved by the Chief of Naval Operations during a period of eligibility (and of course they had to actually participate in the operation). This does include, however, personnel who were attached to a squadron or unit embarked in an eligible ship or unit during the appropriate time frame. But some individuals who do not meet these standards—personnel who are observers, transients, members of rear echelons, or who are on temporary duty—may be submitted for consideration if their local commander certifies they have made a singular significant contribution to the operation. The NEM was designed Adolph Weinman, a German-born sculptor responsible for the several military medals (the reverse sides of the American Campaign Medal, European-African-Middle Eastern Campaign Medal, and the Asiatic-Pacific Campaign Medal). Arguably his most famous design was that for the “Walking Liberty” half dollar and the misnamed “Mercury” dime (the figure on the coin is the goddess Liberty). He also designed two statues of Abraham Lincoln, one located in Hodgenville, Kentucky (a few miles from Lincoln’s birthplace) and another in the rotunda of the state capitol building Frankfort.